Walt Disney called it “Imagineering” and made imagining fun for all ages! They learn valuable lessons like taking turns and predicting outcomes. Have you ever built a castle in the sand or maybe just a sand cake with a young child? Great conversations can develop. You can discuss your surroundings, like who lives in which house, or whose birthday could this be? How many people or how many candles should there be? What about your house or family? How many birthdays or how old are you this year or next? They learn vocabulary by trying out different words and different combinations of words. They learn about humor and what’s funny by playing with words and putting different word combinations together. For example, “smelly” and “feet” by themselves are not funny, but together it may be hilarious to a young child. They are developing a sense of confidence by trying new things. In play they are not judged or criticized. Walt Disney certainly understood the importance of imagination for young children and their belief in magic. Fantasy and reality seemed to weave in and out of stories that children and their parents love. He knew the importance of developing creativity in children by developing their imaginations. His stories were engaging for both parents and their children. He even seemed to be able to touch the child inside every adult. I was lucky enough to grow up with Walt Disney and Dr. Seuss as my heroes. I was transported to wonderful lands by the magic of Disney and entertained by the zaniness of many of the Seuss characters. My book “Last Night I Had a Laughmare” is my own personal tribute to the memory of these two wonderfully amazing people. It’s my own leap into the realm of Imagineering. I imagined a book that would enable parents and children to escape together to the land of Gigglyville and meet my own brand of zany folks. If just for a few minutes, they could share a giggle, a laugh or at least a smile, that would make it all worthwhile. As an early childhood educator I too believe in the importance of providing lots of opportunities for children to use their imaginations and their sense of silliness. The silliness enables them to try new things, think creatively and positively about the world they live in. Ask you kids what other funny named characters could live in Gigglyville. Let them come up with some names and why they would be perfect for this town. What other things can you think of that can be done backwards in Gigglyville. The residents of Gigglyville can hop on one toe. See if they would like to try that! Try a “dress up day” where you find clothes that are way too big and then way too small. How do both feel? Which would they choose if they had to choose one? Enjoy a happy, funny giggly day or night! 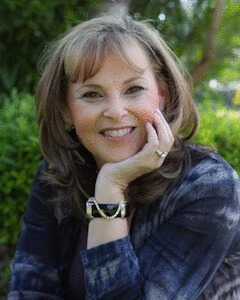 Judy Egett Laufer BA author of the new release, Last Night I Had a Laughmare-Bedtime Adventures in Gigglyville, is a certified early childhood educator/consultant and has taught Kindergarten for over a decade.